The Brooke Owens Fellowship is now accepting applications for its internship and mentorship program. The fellowship offers paid internships at leading aviation and space companies and organizations for college-aged women seeking their undergraduate degree. 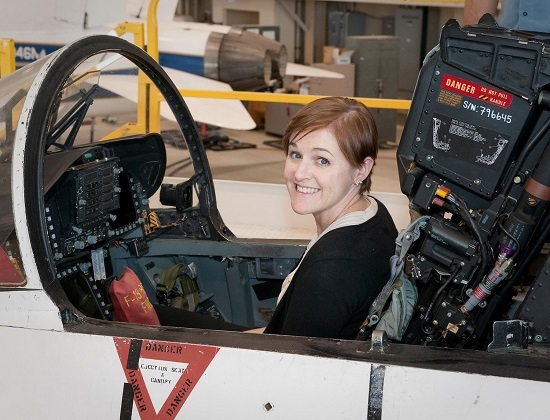 The fellowship is named for Brooke Owens ((1980 – 2016), a commercial space pioneer and pilot who passed away earlier this year after a battle with cancer. The program was created by three friends of Brooke — Lori Garver, Cassie Kloberdanz Lee, and William Pomerantz. It is being done under the auspices of The Future Space Leaders Foundation, which is a tax-exempt 501(c)3 non-profit organization. Host institutions include multiple organizations from A (Aerospace Corporation) to X (XPrize Foundation). She which organizations are involved here. Applications are due on Dec. 5. Learn more here. That is good friends. She must have been a special person.